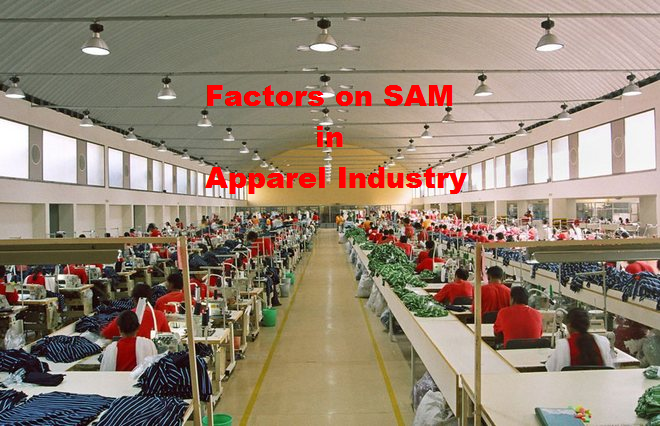 Standard Allowed Minuets (SAM) is an important matter in garments manufacturing sector. Normally standard allowed minutes (SAM) is calculated by industrial engineers. Sometimes it’s affected by a few key factors, which change the value of standard allowed minutes (SAM). Those key factors have discussed in this article. Number of operations is an important factor for calculating standard allowed minutes (SAM). If number of operations of an item is more, then standard allowed minuets (SAM) will be higher number. Standard allowed minutes (SAM) for polo shirt is not similar as basic T-shirt. If seam length is higher, then standard allowed minuets (SAM) will be higher. In the other case, if seam length is shorter, then standard allowed minuets (SAM) also lower. Length o seams is directly proportional to standard allowed minuets (SAM). Fabric types is one of the most important key factor which directly affects on standard allowed minuets (SAM). Standard allowed minuets (SAM) for denim fabrics is not similar as knitted fabrics. In case of denim fabrics, standard allowed minuets (SAM) is more than knitted items. Stitching accuracy is another one which has huge impact on standard allowed minuets (SAM). Standard allowed minuets (SAM) is not same for all types of stitching accuracy. In case of hand stitching accuracy, standard allowed minuets (SAM) will more than chain stitching. Sometimes sewing technology affects on standard allowed minuets (SAM). Due to using of new sewing technology, standard allowed minuets (SAM) can be increased. Because, sewing operators are not habitual with new sewing technology. As a result, he takes more times to complete the processes.